Havana Great Time in Cuba! Cuba has been fast changing! 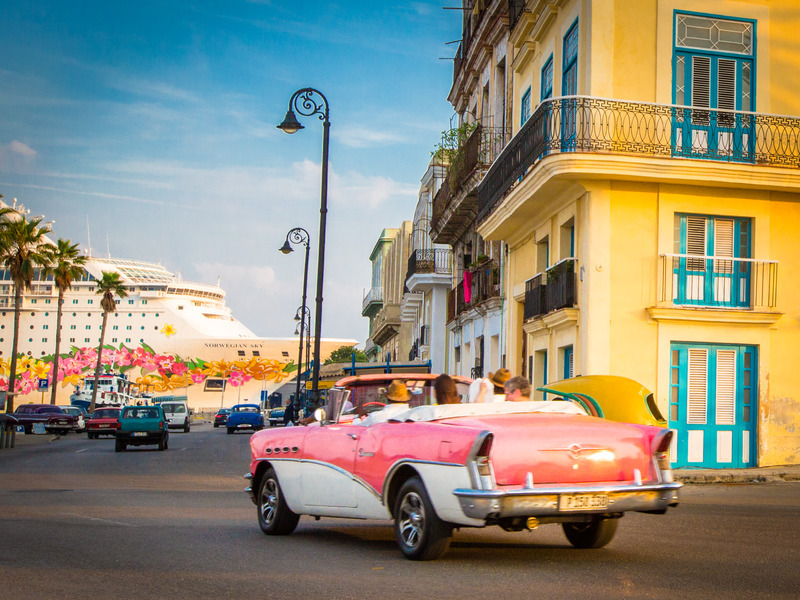 The Caribbean island retains much of its post-revolution charm with its colorful architecture and classic cars. 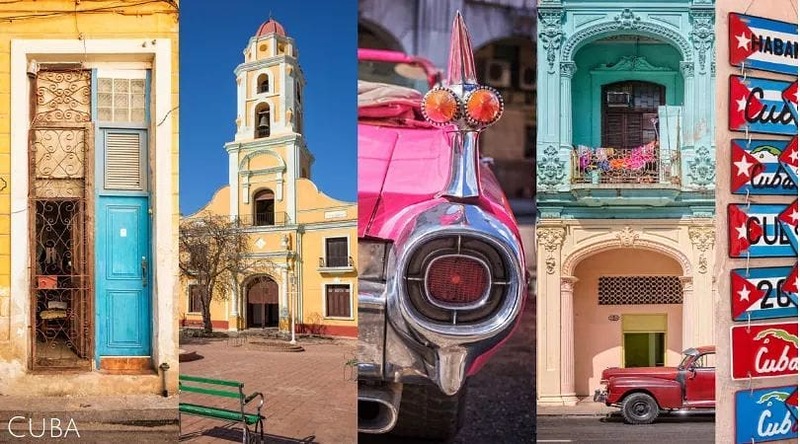 Add Cuba to your travel list this year! Discover Cuba’s larger-than-life culture and historical beauty during an overnight stay in Havana. You will have the opportunity to visit authentic sites such as Old Havana, a UNESCO World Heritage Site. I would like to share information about cruising to Cuba, because I currently have a group cruising NCL Sky to Cuba February 22-27, 2019. What do you need to know to Travel to Cuba? 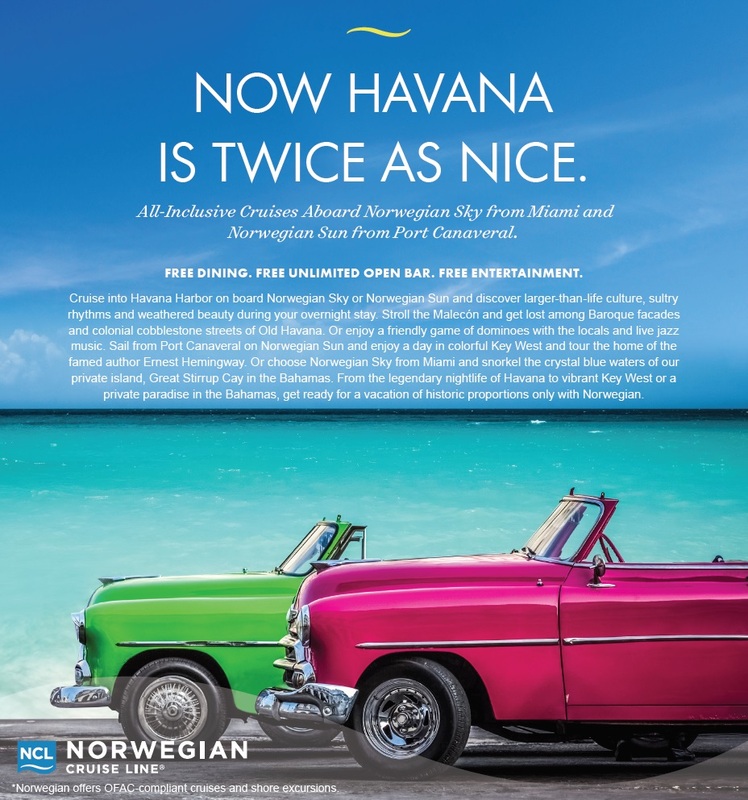 How can Norwegian Cruise Line offer cruises to Cuba? Yes. OFAC regulates travel to Cuba pursuant to the Helms-Burton Act and other pertinent regulations. Currently, there are 12 categories of authorized travel to Cuba. Effective November 9, 2017, individual people-to-people exchanges are no longer authorized by OFAC. However, guests who booked their cruise before June 16, 2017 may choose to still engage in individual people-to-people travel or group people-to-people travel sponsored by Norwegian or a third party U.S. sponsoring organization. Group people-to-people travel is one of the ways for Americans to visit Cuba and gives you an opportunity to discover Cuba through its people and from a local perspective. All guests will be required to certify that their activities meet the requirements above, so you must retain records of your activities whether or not they are offered by Norwegian for a period of 5 years. What is a group people-to-people exchange? This general license authorizes persons subject to U.S. jurisdiction to engage in certain educational exchanges in Cuba under the auspices of an organization that is a person subject to U.S. jurisdiction and sponsors such exchanges to promote people-to-people contact. Guests using this general license must ensure they maintain a full-time schedule of educational exchange activities intended to enhance contact with the Cuban people and that will result in meaningful interaction between the guest and individuals in Cuba. Under regulations set forth by the U.S. Department of the Treasury, Office of Foreign Assets Control (OFAC), Norwegian may offer carrier services by vessel to authorized travelers, directly or indirectly, between the United States and Cuba. 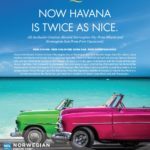 Norwegian is offering cruises to Cuba that comply with OFAC regulations for group people-to-people exchanges. However, all of the freedom and flexibility components that Norwegian is known for will still be included. Yes. A valid passport* is required for all guests to travel to Cuba. We recommend guests review the passport requirements of travel to Cuba from their home country and that the expiration of your passport be greater than six months from the date of your voyage. 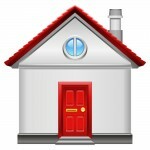 *NOTE: All guests must have a valid passport book for travel. A passport card WILL NOT be accepted. How do I certify that I am travelling under one of the OFAC-approved categories of travel? All guests must complete a certification form which sets forth and confirms that they will be participating in OFAC-compliant activities. Click here to link to the certification form. One form per guest. Certification must be received by Norwegian no later than 3 days prior to the departure date. Please be advised that guests will not be able to board the vessel without having first completed the form. All guests will be certifying which means that they are solely responsible for arranging a full-time schedule of OFAC-compliant activities, as explained above. These activities may include excursions provided by Norwegian or another U.S. sponsoring organization. All travelers to Cuba must be able to prove that their trip was comprised of OFAC-compliant activities. Guests should keep a log of their activities and keep the log for 5 years. Guests may also request that Norwegian keep a record of their itinerary and shore excursion activity if Norwegian is the U.S. sponsoring organization providing any group people-to-people exchanges to the guest. Yes. As with travelers from the United States, non-U.S. guests will need to certify that they are traveling under one of the approved OFAC categories, keep records of their activities and sign affidavits confirming they are doing so. 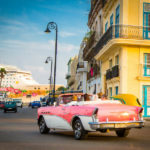 The Cuban government requires anyone who is traveling to Cuba on a passport other than a valid Cuban passport to obtain a visa prior to their arrival into Cuba. For all visitors who were not born in Cuba, this visa, also known as a “tourist card” (for U.S. residents, this visa also known as a “rosada” must have a pink and blue background; for non-U.S. residents, this visa is issued by the Cuban embassy or consulate in the background color applicable to their country of residency), is required to enter Cuba for non-business purposes. The Cuban visa is valid for a single entry and allows the holder to stay in Cuba for 30 days. 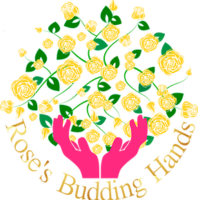 U.S. residents may obtain this visa (or “rosada”) on their own. You can also call Norwegian at 1-800-327-7030 to obtain this visa for a $75 per person charge. For non-U.S. residents, if the Cuban visa issued by the Cuban embassy or consulate in your country of residency is not accepted by Cuban immigration officials, you will be required to purchase the same Cuban visa (or “rosada”) as a U.S. resident. Please note that you will not be allowed to board the vessel without proof of acquiring a Cuban visa. The Cuban visa is a two-part card. Cuban immigration officials will take both parts upon arrival in Cuba. The website of the US Embassy in Cuba http://havana.usembassy.gov/service.html states that U.S. citizens who are Cuban-born will be treated in Cuba solely as Cuban citizens and the Cuban government may require these individuals to enter and depart Cuba using a Cuban passport. Using a Cuban passport for this purpose does not jeopardize one’s U.S. citizenship; however, such persons must use their U.S. passports to enter and depart the United States. Citizens of countries other than the United States should check with their embassies in Cuba for regulations pertaining to their citizenship and use of passports. Click here for more Cuba FAQs.